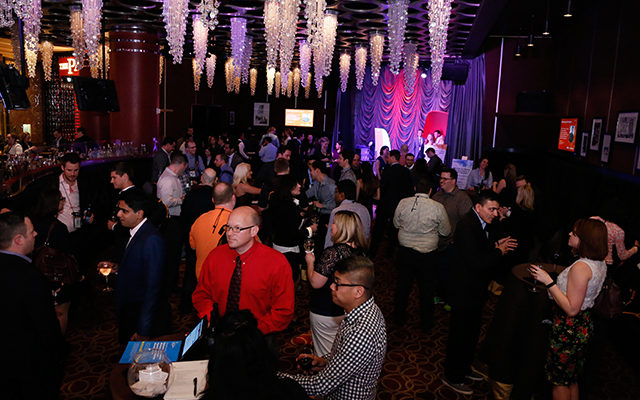 The diverse event offered up dozens of education sessions with industry leaders, new products and platforms on display on the bustling exhibition floor and scores of parties and networking nights. 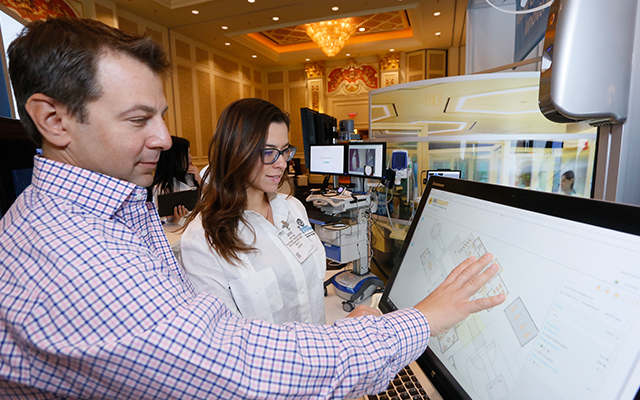 The HIMSS16 conference at the Sands Expo and Convention Center in Las Vegas drew more than 41,000 healthcare professionals. 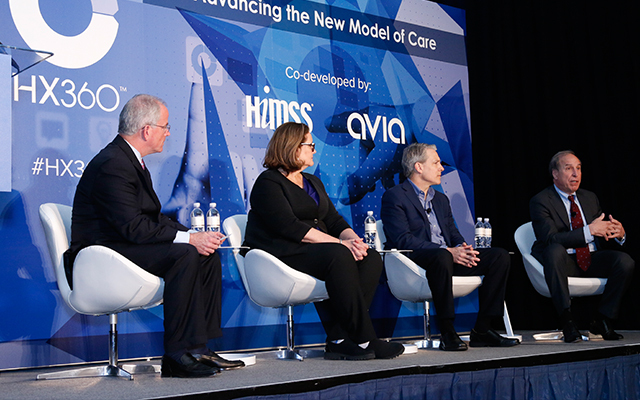 The following gallery tells the story of the event, featuring some of the best photos appearing in Destination HIMSS coverage from the Healthcare IT News team. They are organized in chronological order to give you a sense of how the five-day show unfolded. Click to the next slide to begin. The building of the exhibition hall booths is no easy endeavor. 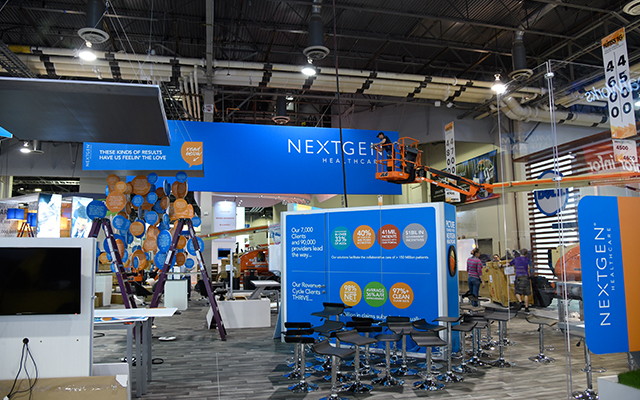 Before the exhibit hall doors open, event specialists work for several days on booth setup. Let the presentations begin. 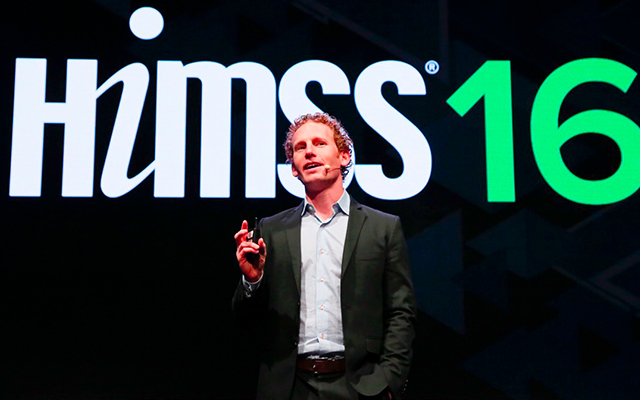 The AMDIS HIMSS Physicians’ IT Symposium. 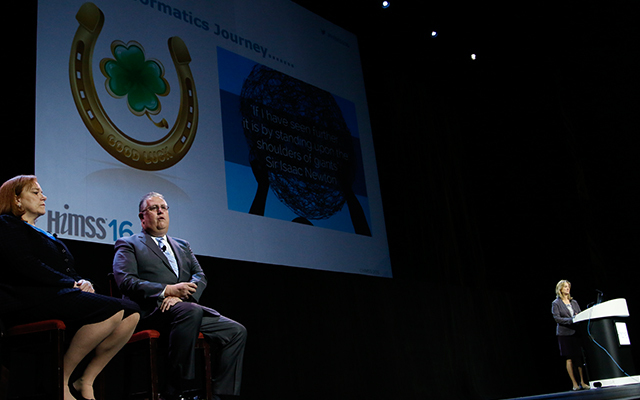 Ed Marx speaking at Monday's Nursing Informatics Symposium. 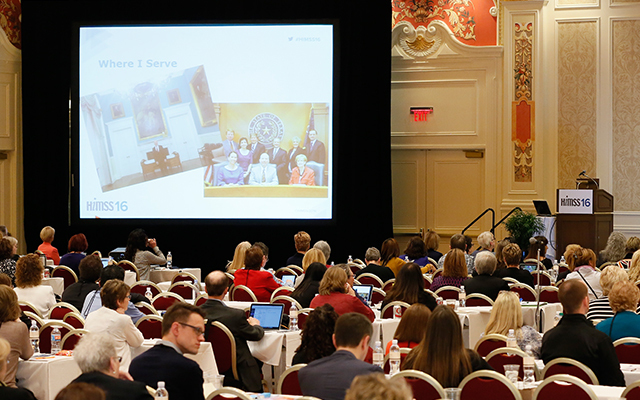 Crowds gathered at the Nursing Informatics Symposium. 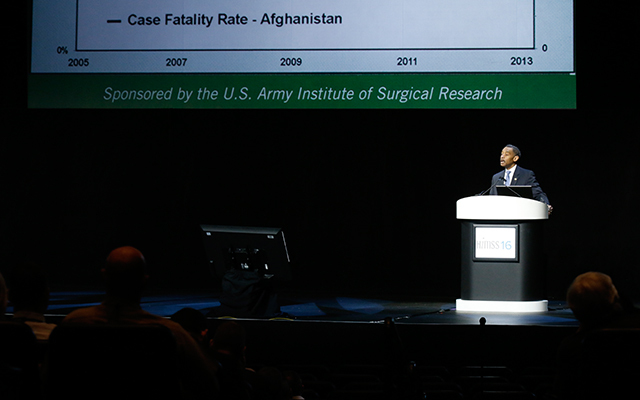 Farzad Mostashari presents "Achieving Sustainable Clinical Innovation Easier Said Than Done!" before a packed house. 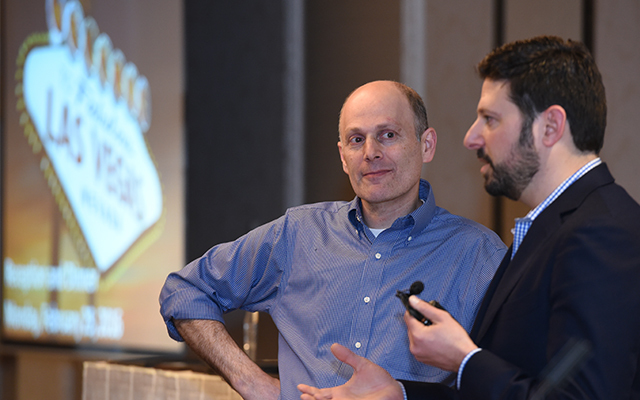 Day one at the Sands Expo and Convention Center: Jacob Reider, MD former deputy national coordinator and a practicing physician (left) shares the stage with Bryan Sivak, Entrepreneur in Residence at the Robert Wood Johnson Foundation and former CTO of HHS. 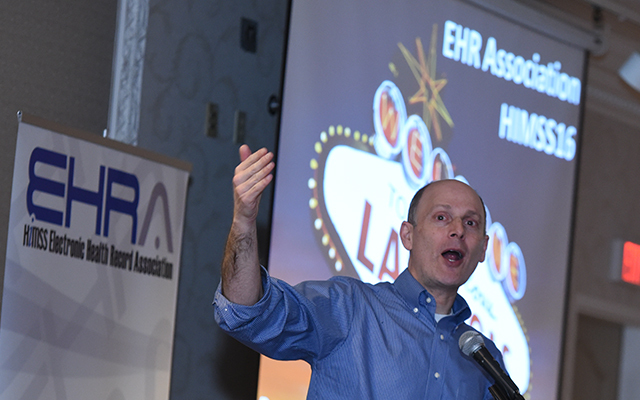 Jacob Reider at the HIMSS16 EHRA dinner and reception on Monday. 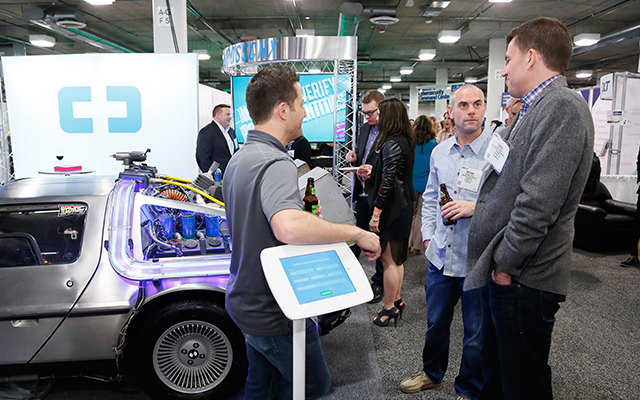 Rubber meets the road at the HIMSS16 opening reception in front of the Back to the Future DeLorean. 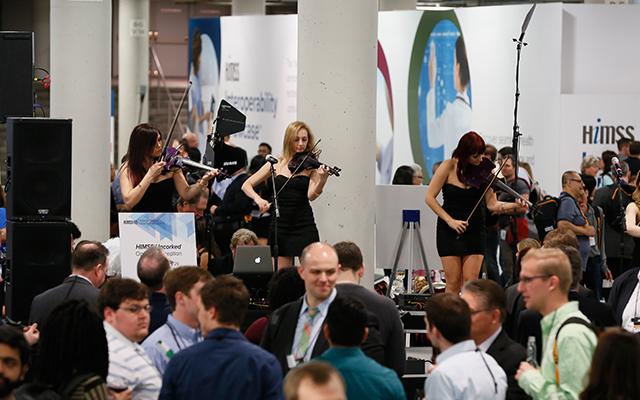 The opening reception featured plenty of live music. 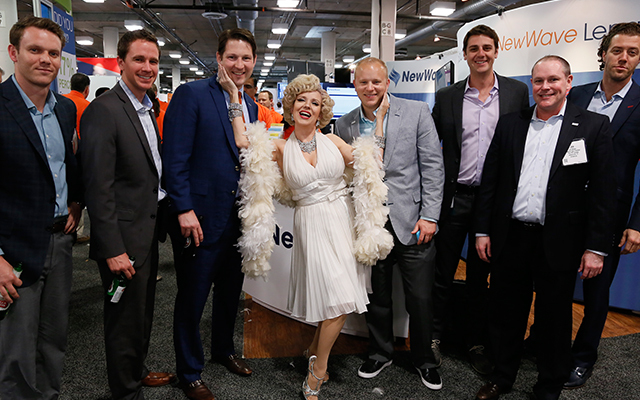 Some Las Vegas atmosphere crept into the exhibit hall floor. 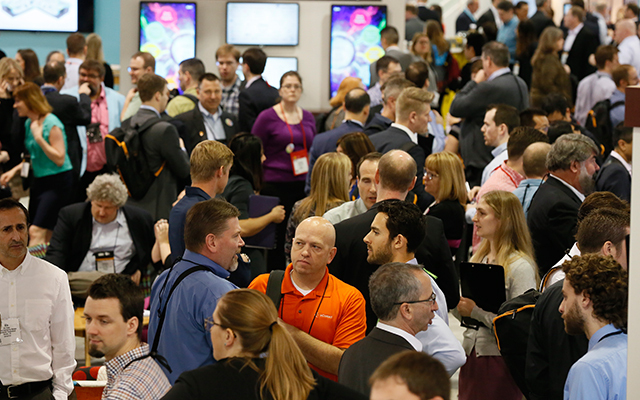 The Monday night opening reception was a packed house on the exhibit floor. 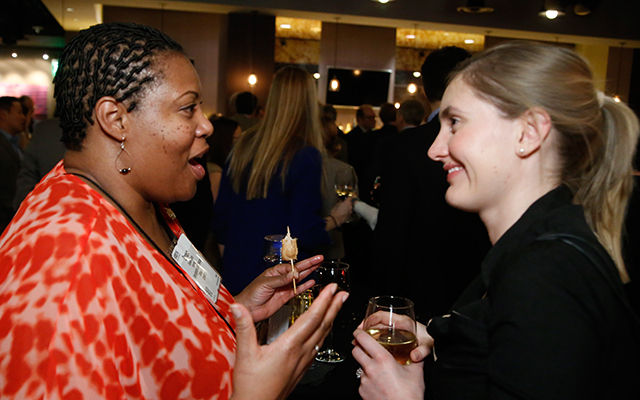 Networking at the Public Policy Dinner on Monday night. 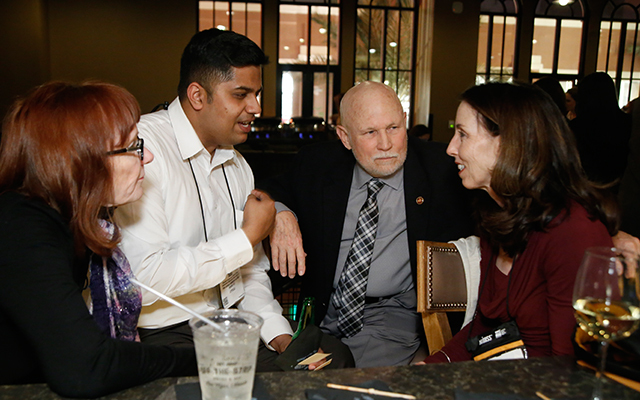 Conversation continues at the Public Policy Dinner. 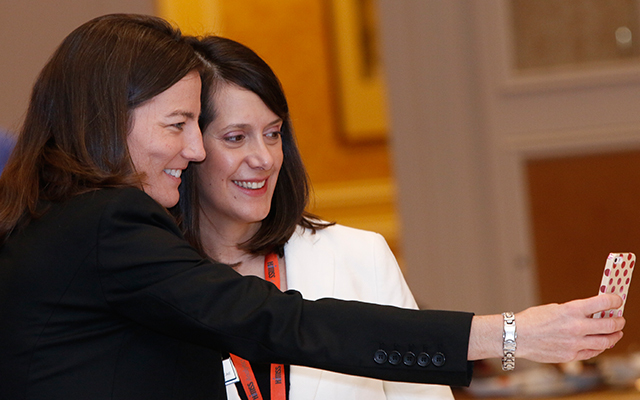 The opening day keynote was prime opportunity for a selfie. 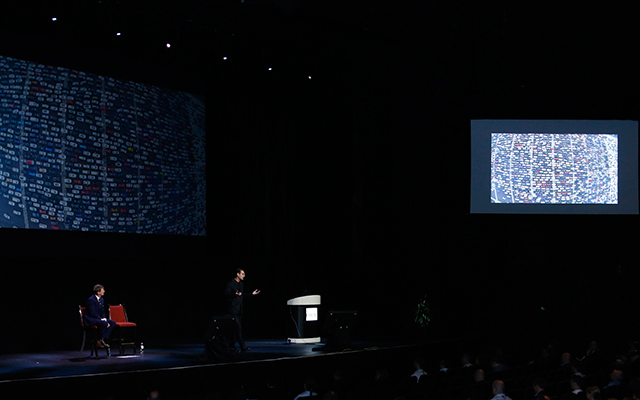 The opening keynote was a little different in Vegas than Chicago with black lights, lasers and music. 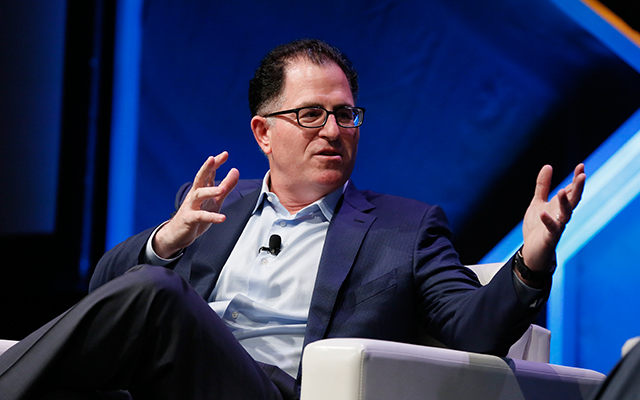 Dell CEO Michael Dell during his opening day keynote answering questions on stage. 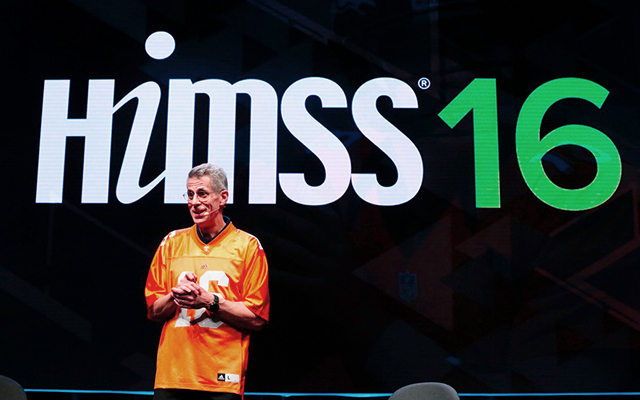 HIMSS16 is more than a North American affair. 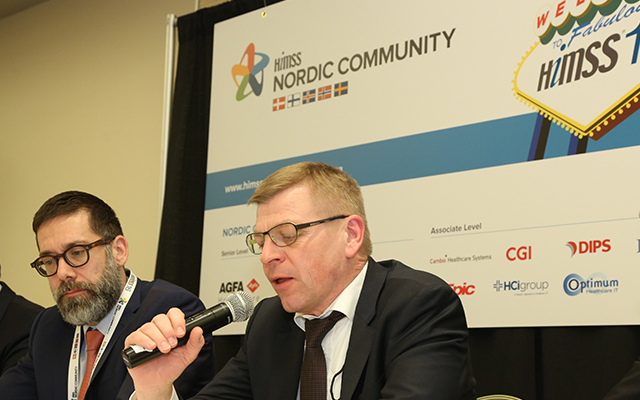 The Nordic Session was also held at the event. 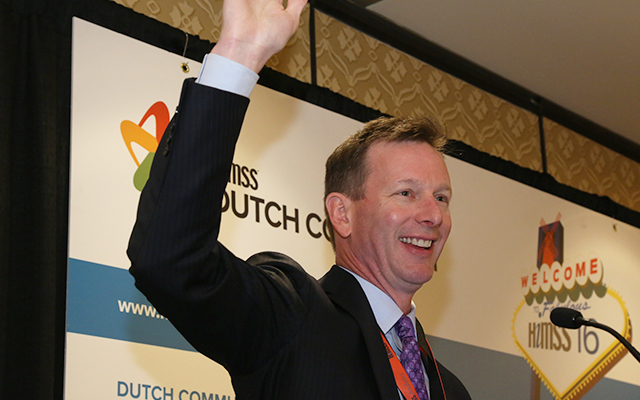 International visitors talked healthcare IT at the Dutch Session. 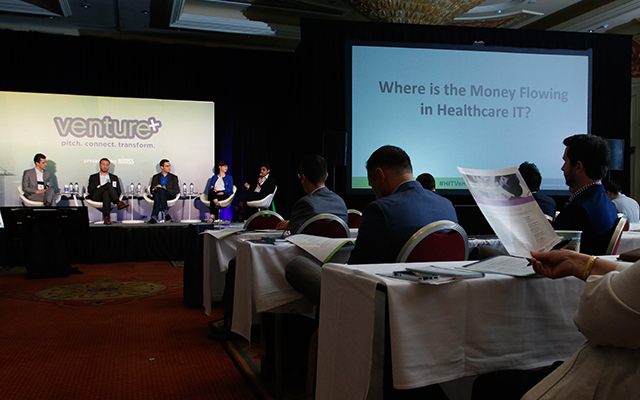 The HIMSS Spot, featuring a presentation on Marketing to Customers in an Uncertain Healthcare IT Marketplace. 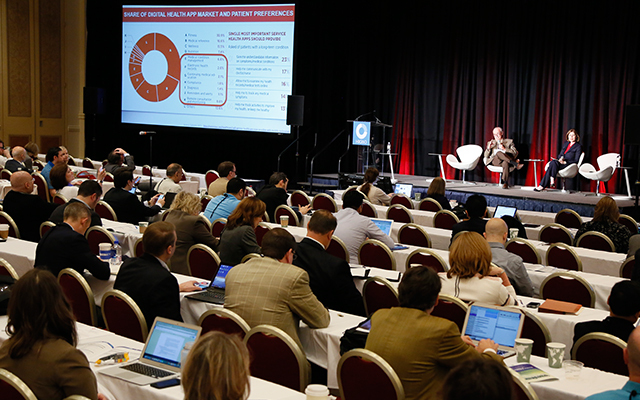 A standing-room-only crowd at the Marketing to Customers in an Uncertain Healthcare IT Marketplace presentation. 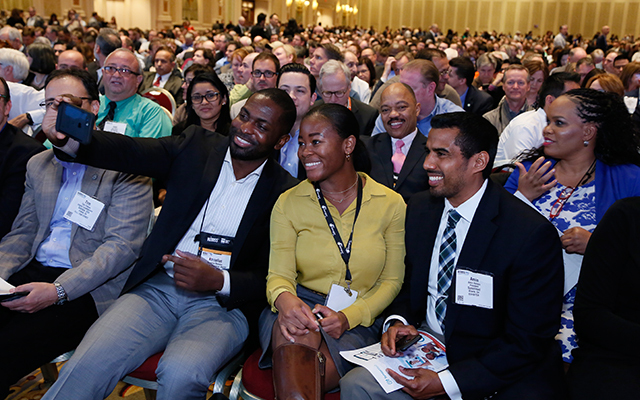 Monday's presentation, "Martin Luther King Jr. Community Hospital: From Idea to Reality." 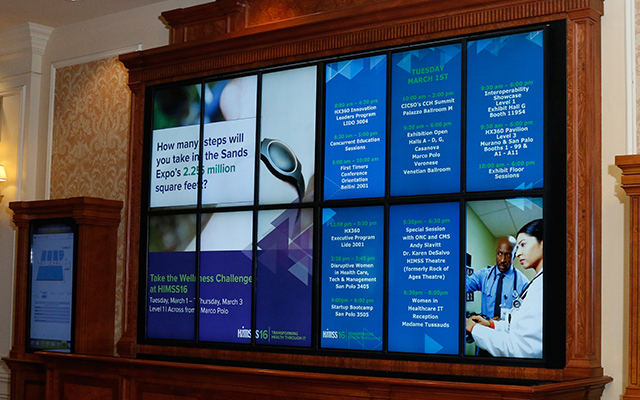 The electronic message wall at the Sands Expo and Convention Center gave important announcements throughout the conference. 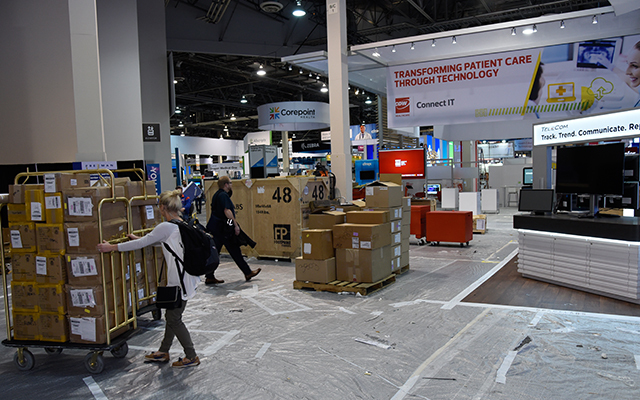 The Cybersecurity Command Center at HIMSS16 before the doors opened. 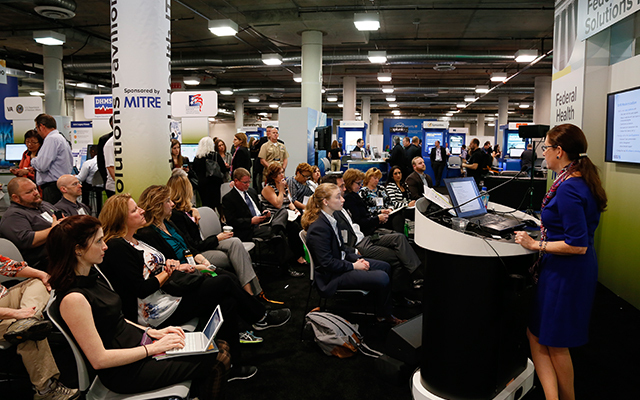 With interest in cybersecurity strong, the Center was an important hub at HIMSS16. 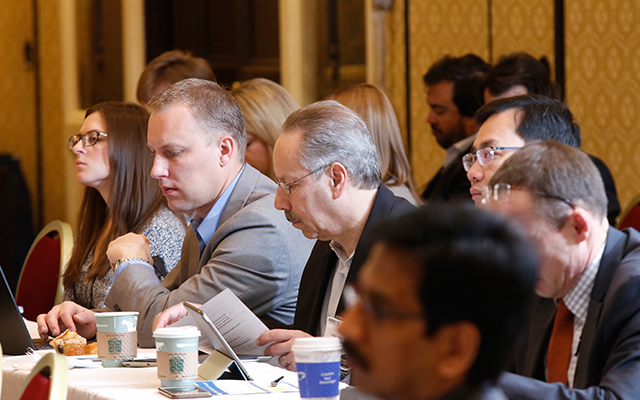 Attendees listened to a presentation on the "Rise of the Intelligent Machines." 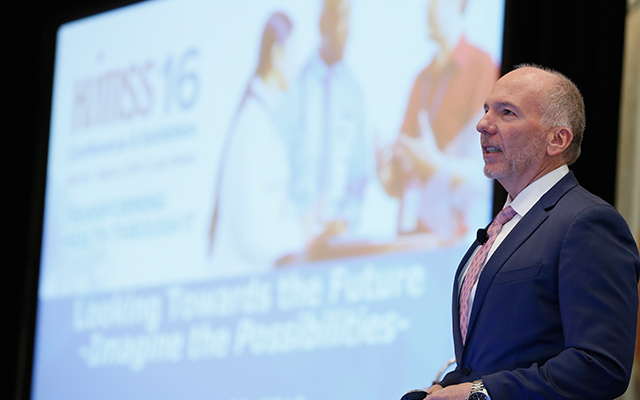 Intermountain Healthcare's Todd Dunn keynotes the Revenue Cycle Solutions Summit on Monday at HIMSS16. 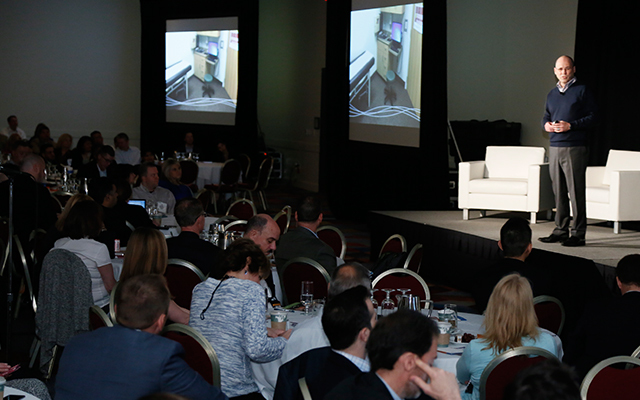 Todd Dunn, onstage at the Revenue Cycle Solutions Summit, spoke before a packed house about innovation in the revenue cycle and effective leadership. 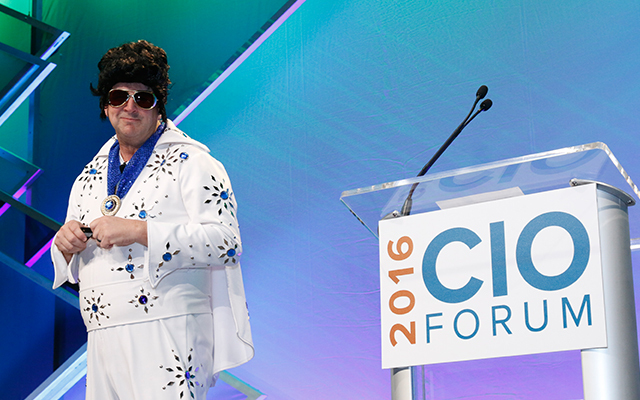 CHIME CEO Russell P. Branzell dons his Elvis suit for the CIO Forum Opening Keynote. CIO Opening Keynote Forum packed in the crowd. 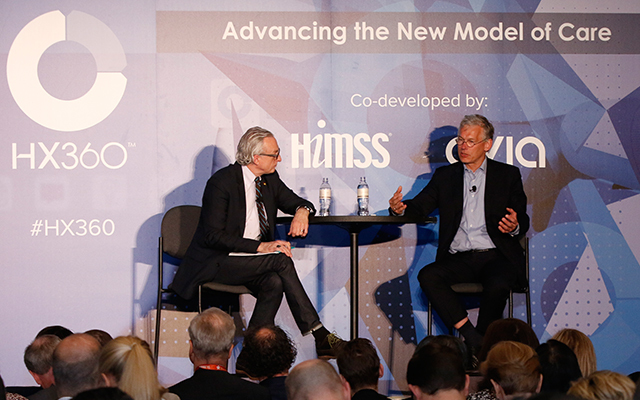 Founder and CEO of Iodine and author Thomas Goetz discussing the future of healthcare. 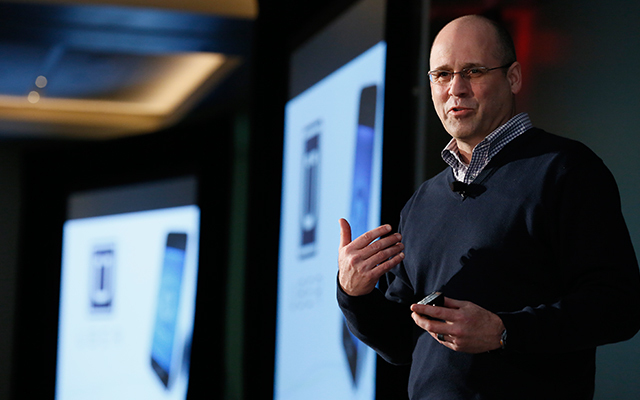 Venture+ Forum on Monday gave entrepreneurs a chance to pitch their business models. 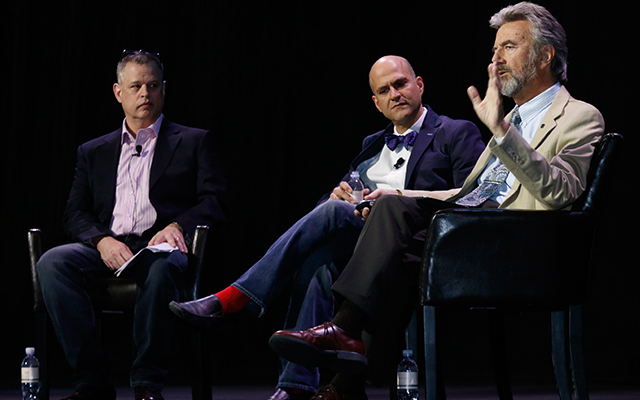 The Venture+ Forum pulled in the crowds Monday as attendees listened to semifinal pitches. 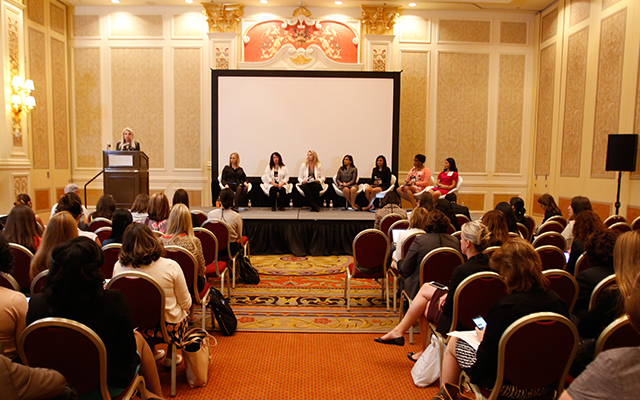 Women in Health IT conference at the Sands Expo and Convention Center looked at ways to further career opportunities and grow skills for women in healthcare IT. 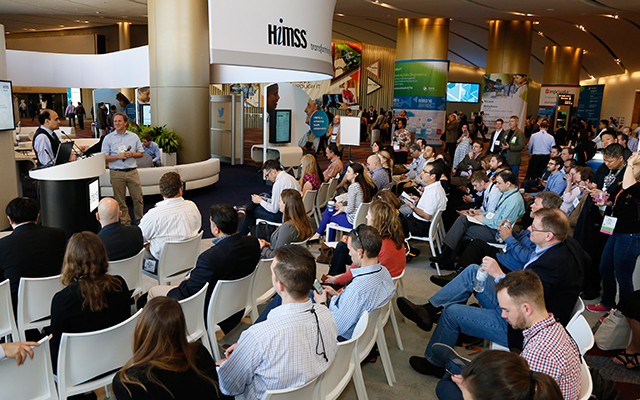 The HIMSS16 Innovation Leaders program featured intimate conversations about leadership and innovation. 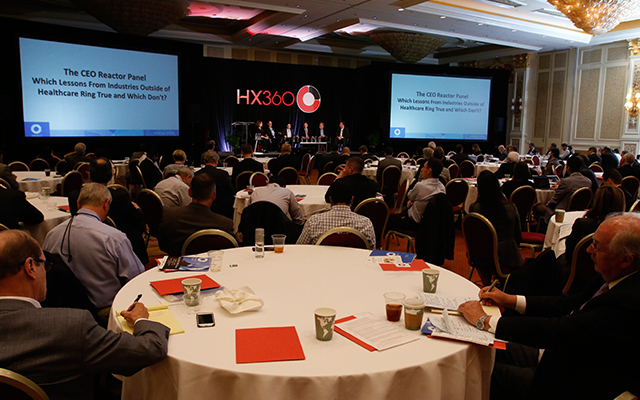 The HX360 Innovation Program drew a full house. The show floor officially opened on Tuesday, and the hall was practically serene in the morning before the crowds arrived. 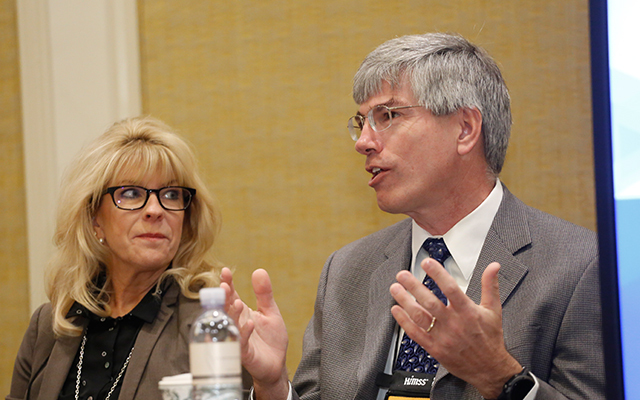 The tradition of the media brunch was upheld at HIMSS16 as media members discussed the issues of the day before colleagues and guests. 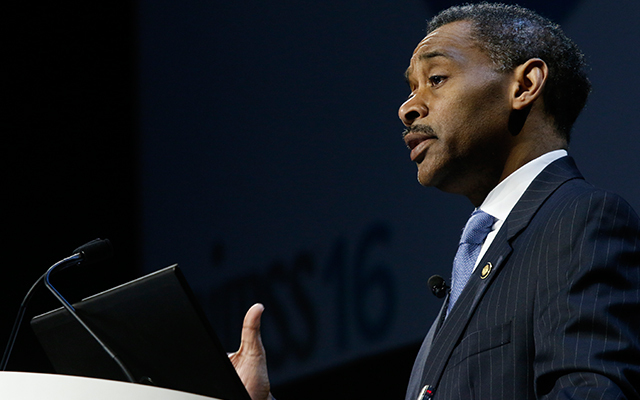 Dr. Jonathan Woodson, Assistant Secretary of Defense for Health Affairs for the Military Health System, presents "From the Bench to the Battlefield to Back Home" at Tuesday's Views from the Top session. 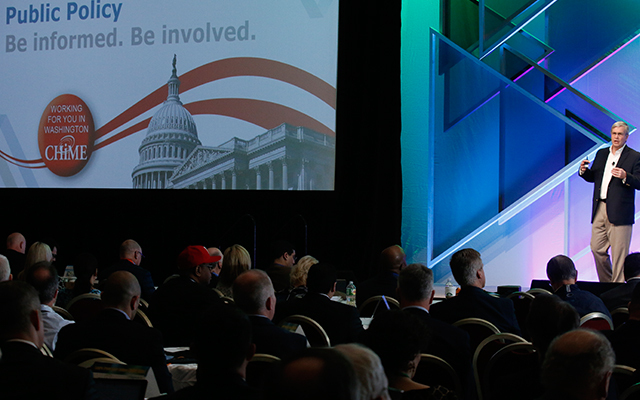 Some perspective at Tuesday's View from the Top session. HX360 Innovation Leaders program on Tuesday morning. 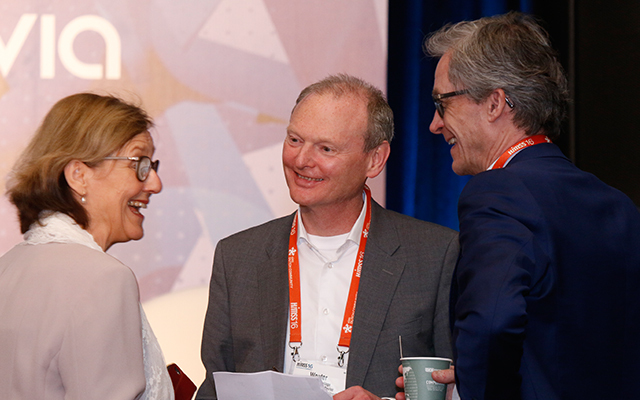 Presenters at the HX360 Innovation Leaders session chat and exchange notes before the games begin. 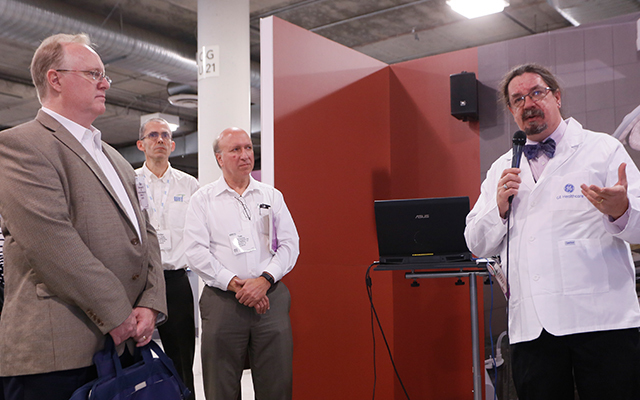 The TIGER Interoperability Showcase VIP tour has guests interested as they listen to a presentation. 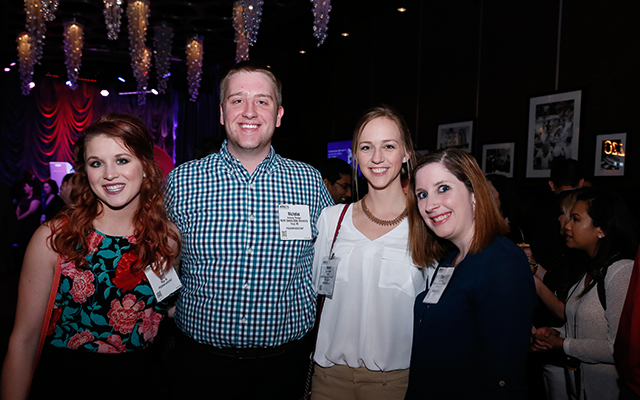 The Millennials on a Mission event was a crowded affair Wednesday night. 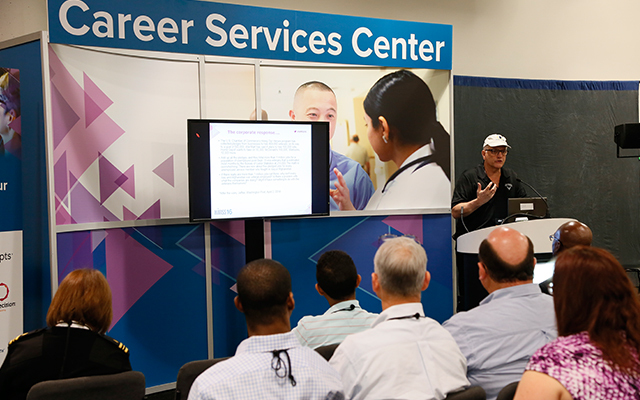 TIGER's interoperability showcase VIP tour presentations. 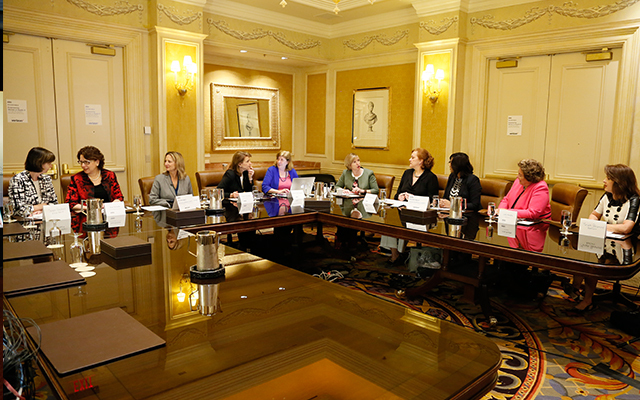 Views From the Top: Clinical Informatics Leadership kicked off on Tuesday morning. 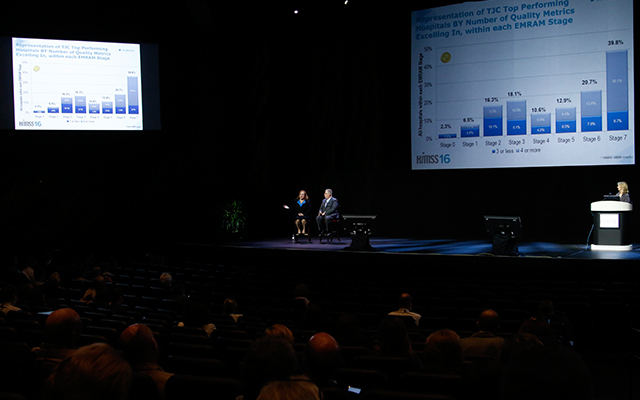 More data is explored at the Views From the Top: Clinical Informatics Leadership presentation on Tuesday. 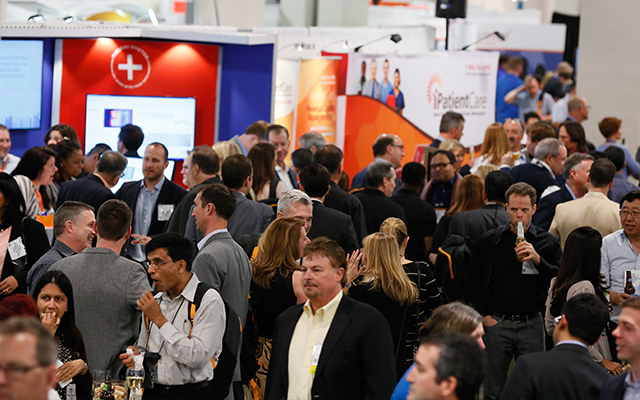 The HealthITchicks Meetup and Tweetup at the HIMSS Spot booth. A presentation during the HealthITchicks Meetup and Tweetup. 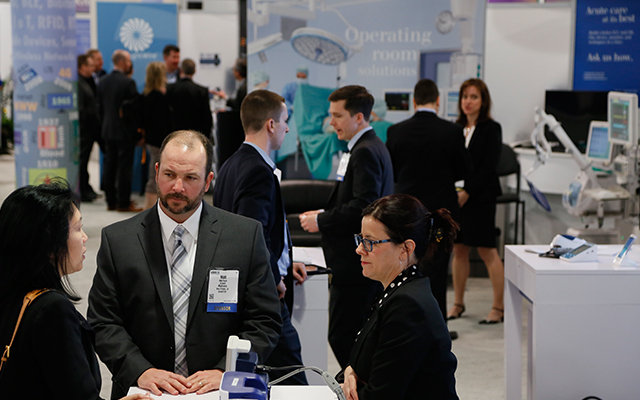 The show floor opened up on Tuesday to shoulder-to-shoulder crowds. The exhibit hall on Tuesday morning. 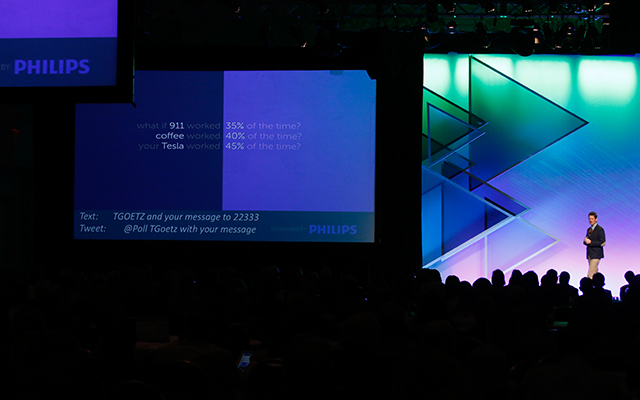 Royal Philips CEO Frans van Houten speaks at the HX360 leadership forum. 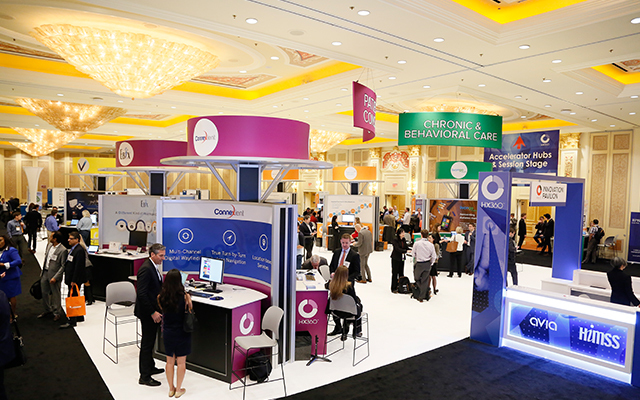 Career services at HIMSS16 is a popular event. 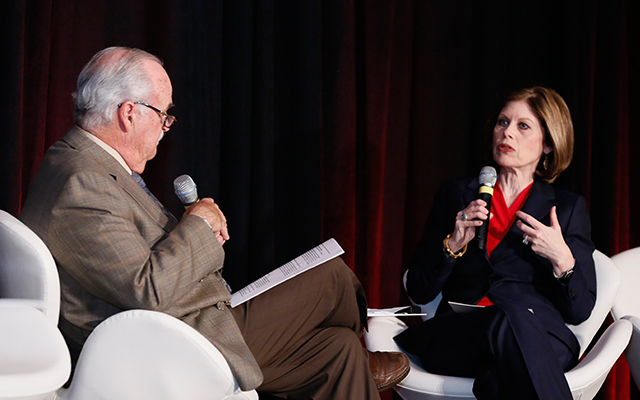 Guests get an inside track into industry trends and employer needs. 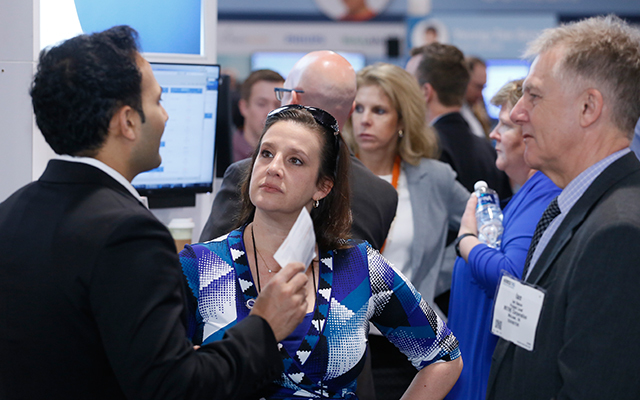 This attendee explores the HX360 Accelerator Hub on Tuesday at HIMSS16. 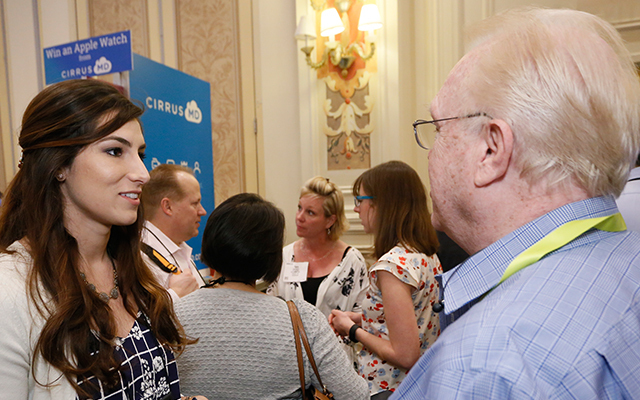 Most innovation starts with conversations with experts (and non-experts) from around the field and HX360 Accelerator Hub was no different as people mingled and traded ideas. 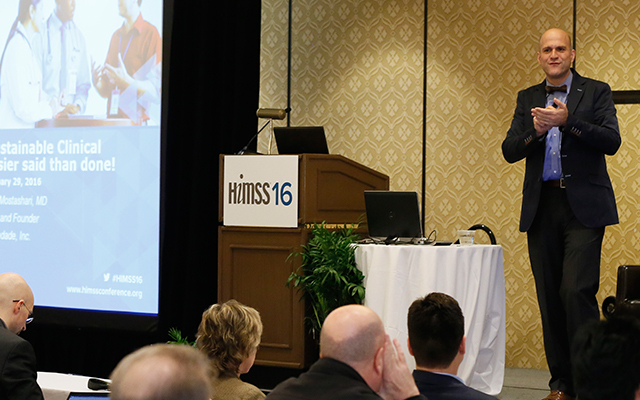 John Halamka, MD, presents "How Future-Proof HIT Infrastructure Supports Data Sharing" at the HIMSS16 Views from the Top session on Tuesday. 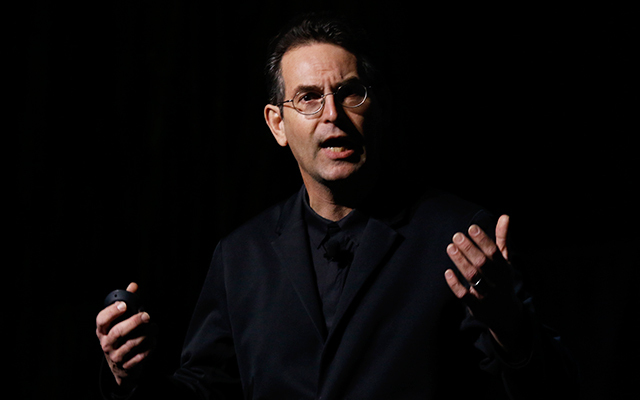 John Halamka, MD, presents data during this talk "How Future-Proof HIT Infrastructure Supports Data Sharing" at HIMSS16. 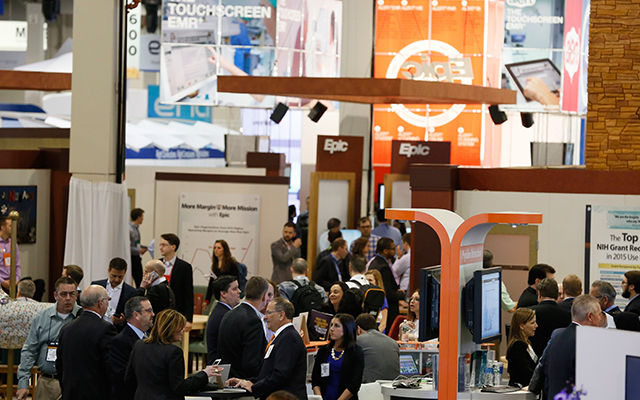 Tuesday at the Innovation Pavilion. 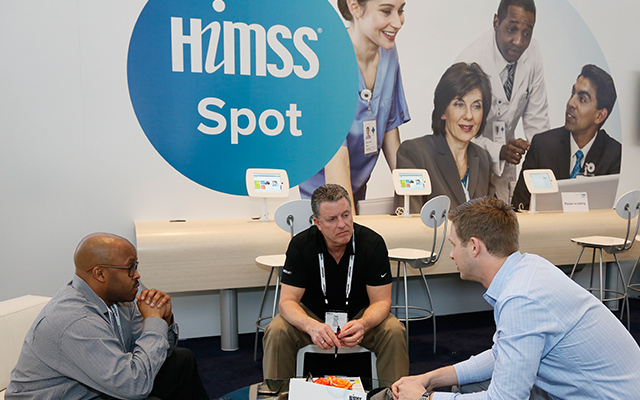 Networking is a crucial part of HIMSS16 and the Innovation Pavilion wasn't left out of the mix as people took a break from the chaos of the show floor to catch up. 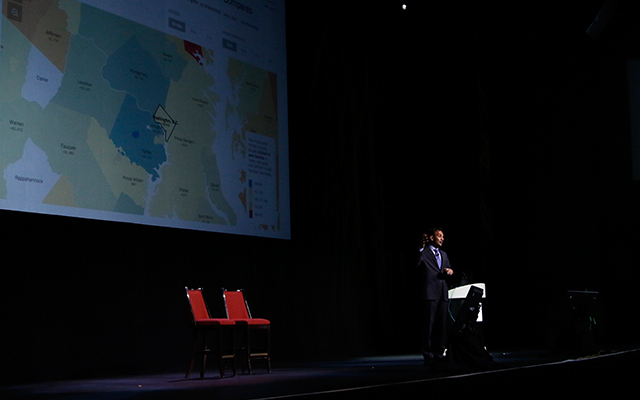 U.S. Chief Data Scientist DJ Patil presents "Data-Driven! 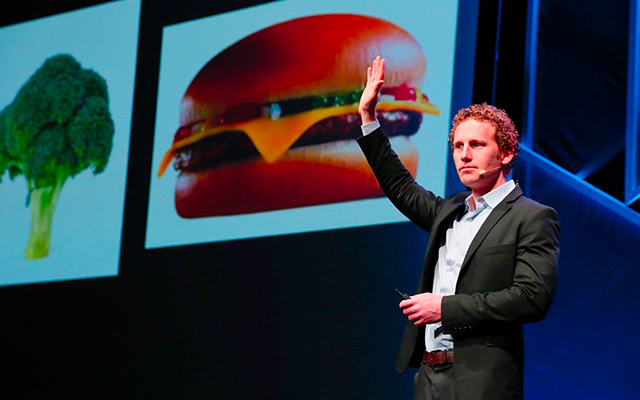 What’s holding us back?" on Tuesday. 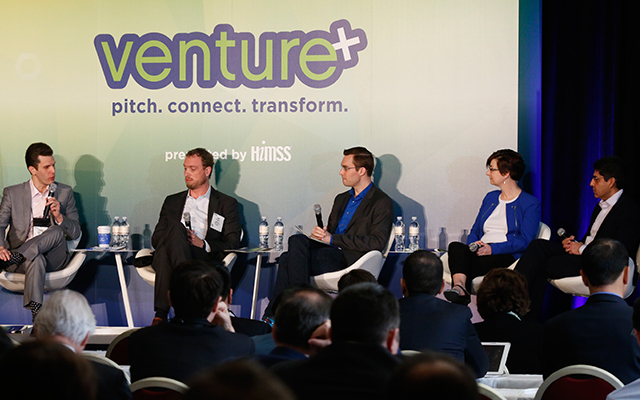 Tuesday's HX360 Executive Forum at HIMSS16 featured robust discussion among C-level executives from the industry. 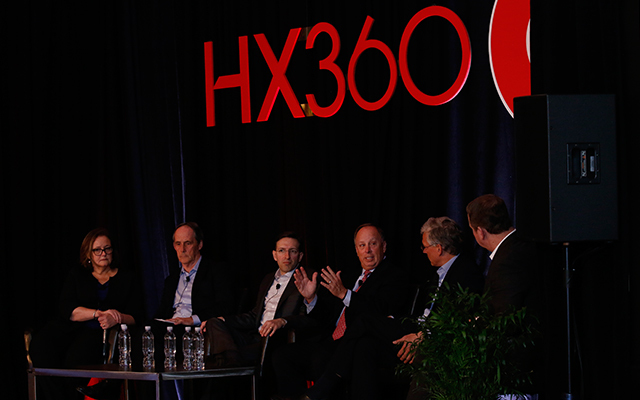 Though less dramatic than some of the keynotes (no Elvis) the HX360 Executive Forum was well attended. 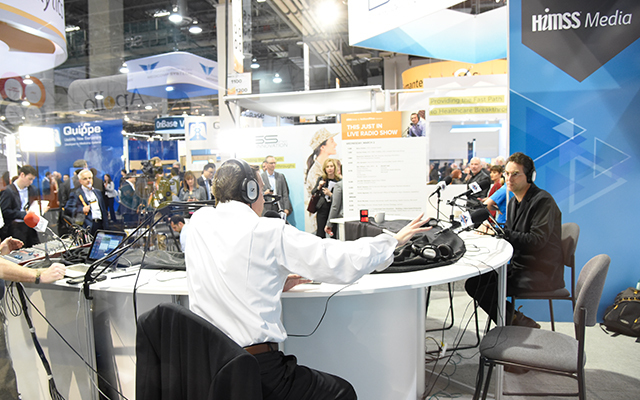 John Halamka, MD, making his HIMSS Media radio debut at HIMSS16. 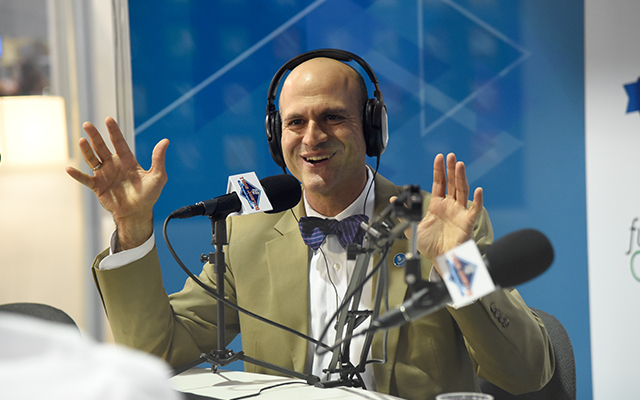 Farzad Mostashari, MD, being interviewed at the HIMSS Media radio booth at HIMSS16. 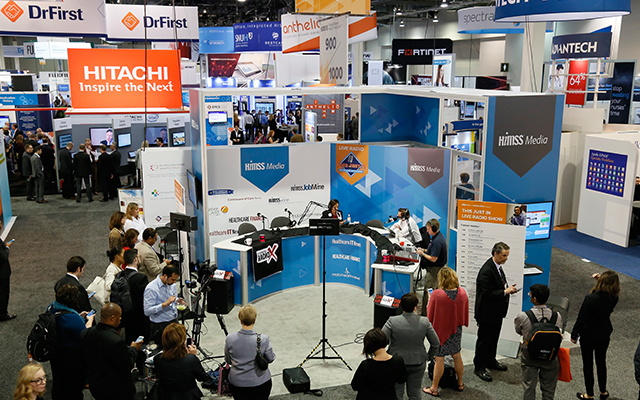 The HIMSS radio booth attracted crowds and listeners at HIMSS16. 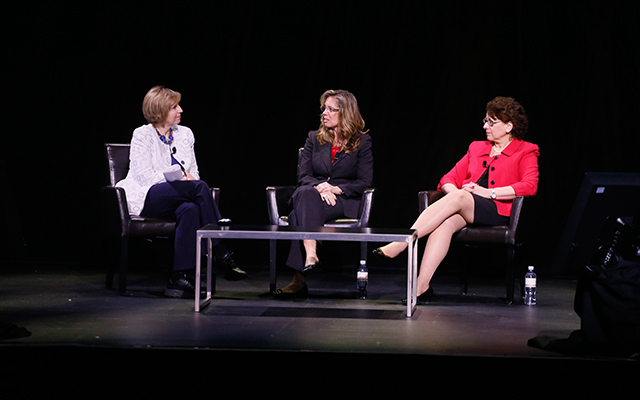 Tuesday's Disruptive Women in Healthcare, Technology and Management event saw a full house. 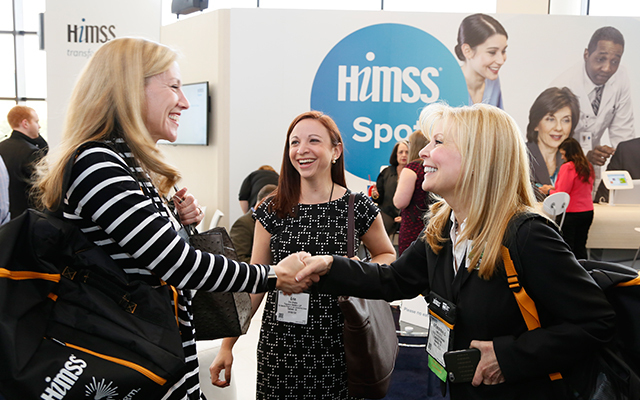 More networking, meeting and simply mingling at HIMSS16. 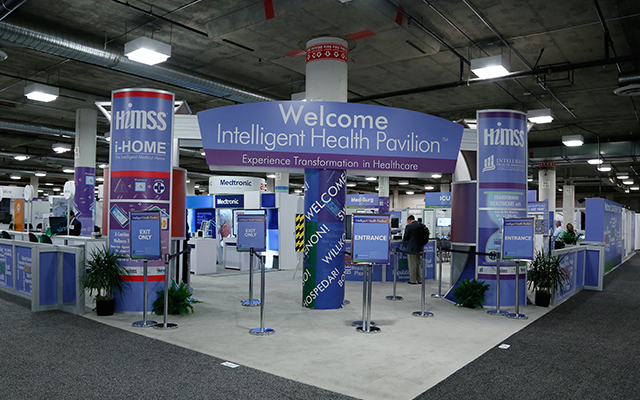 This time at the Intelligent Health Booth. 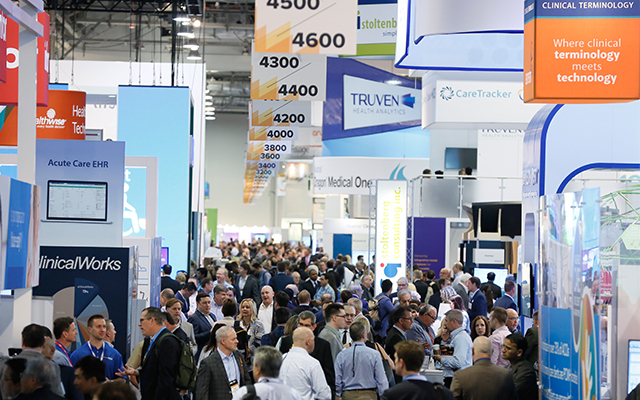 Tuesday's Knowledge Center was a busy place with presentations, booths and chances to network. 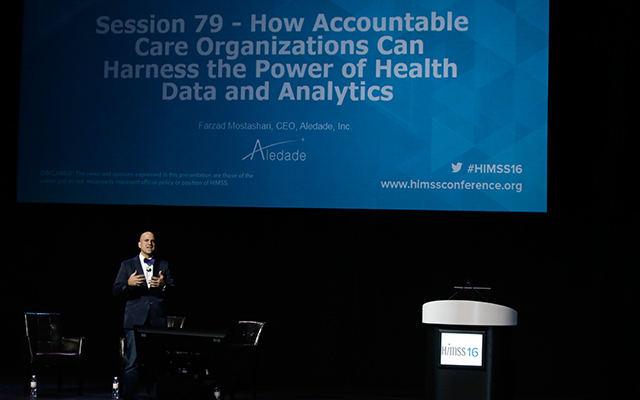 Tuesday's final View from the Top presentation: "How Accountable Care Organizations Can Harness the Power of Health Data and Analytics." 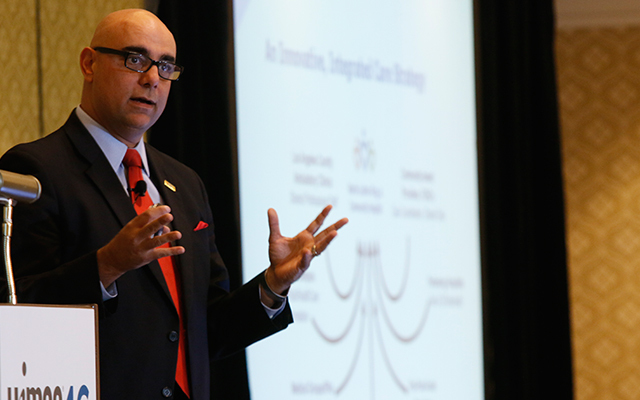 Farzad Mostashari, MD, presenting "How Accountable Care Organizations Can Harness the Power of Health Data and Analytics." Wednesday morning's Public Policy Breakfast. Never a bad time for a selfie. Here at the Public Policy Breakfast, these two couldn't let the moment pass. 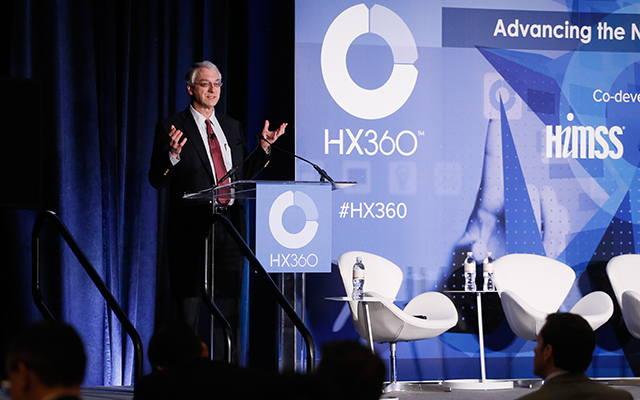 Joe Kvedar, MD, vice president of Connected Health, Partners HealthCare, speaks at the HX360 Innovation Leaders program on Wednesday morning. 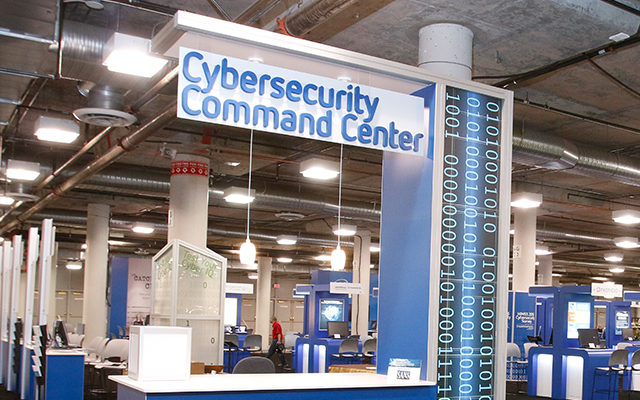 With the show floor open, the Cybersecurity Command Center is a much busier place. 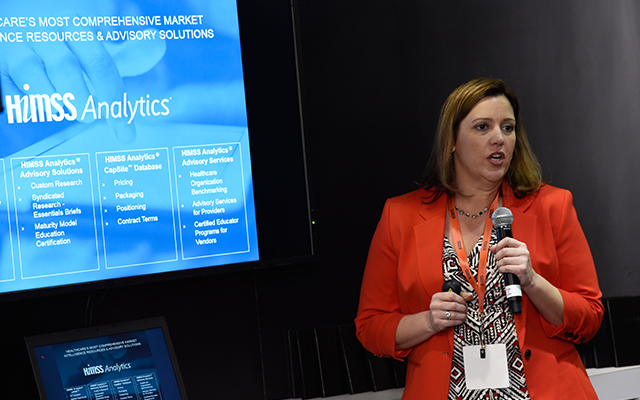 Sandra Vance Senior Director, Healthcare Advisory Services at HIMSS Analytics, presents from their booth on Wednesday. 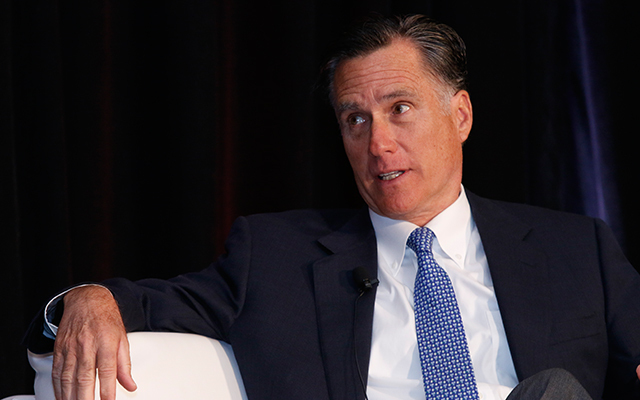 Former Massachusetts Governor and Republican Presidential Nominee Mitt Romney keynoted at HX360 announcing he wasn't going to run for president again and offering his opinion on what the remaining challengers for the presidency would do to the Affordable Care Act if elected. 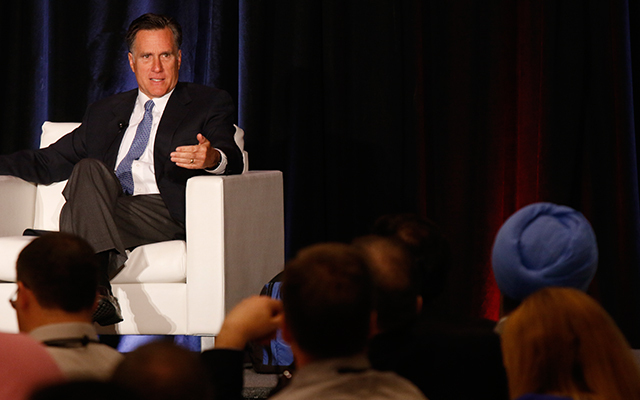 Mitt Romney takes some questions from the audience at HX360's event during HIMSS16. 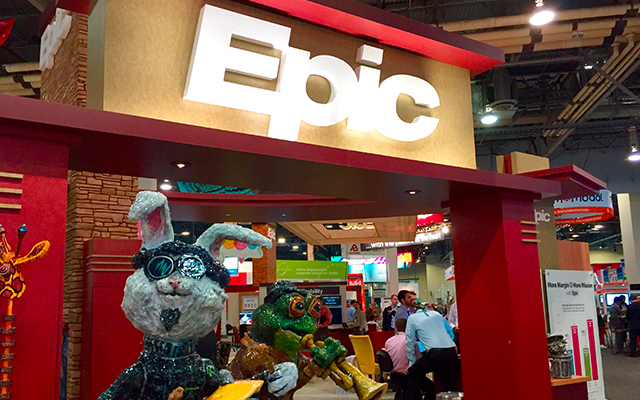 The booths are always part of the show at the HIMSS Annual Conference and Epic always brings its best when it comes to creating a show-floor presence. 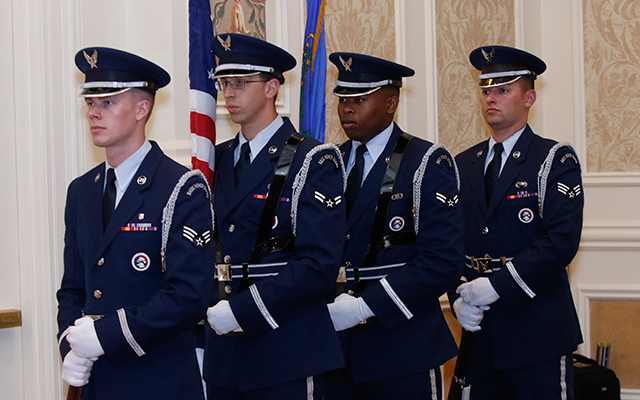 Millennials doing what millennials do best: have their picture taken. 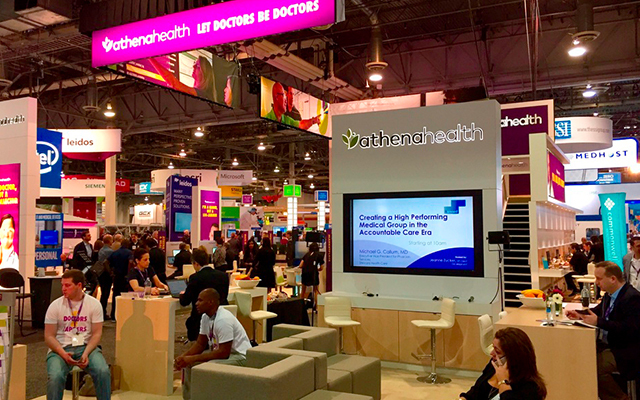 Athenehealth's booth brings a modern feel to HIMSS16. 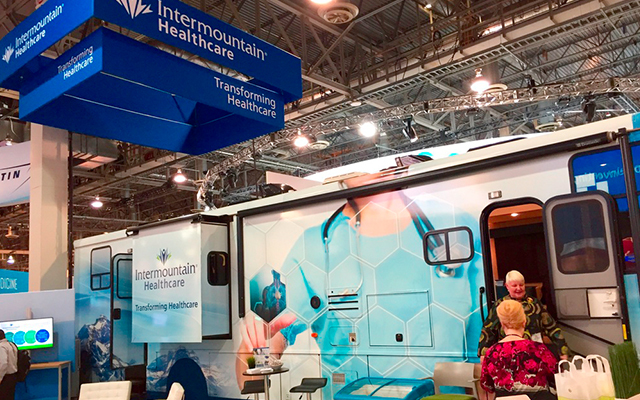 Utah-based Intermountain Healthcare brought this mobile health clinic into the HIMSS16 show floor. 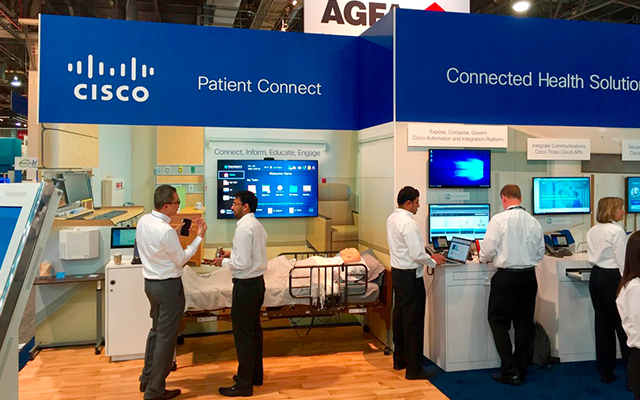 Cisco appears to have a hospital suite set up at their booth, highlighting the company's capabilities. 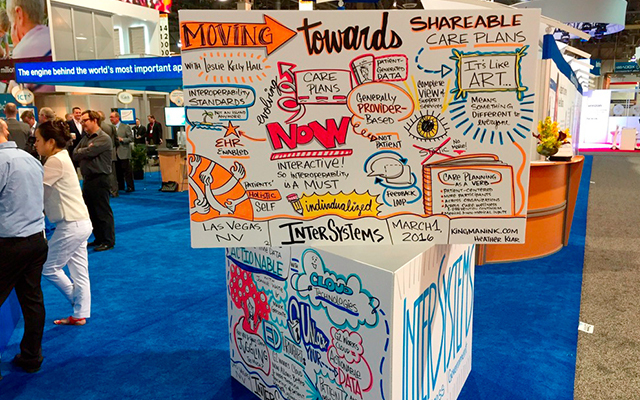 Intersystems brought old-school signage to HIMSS16 with this hand-decorated sign announcing their presence. 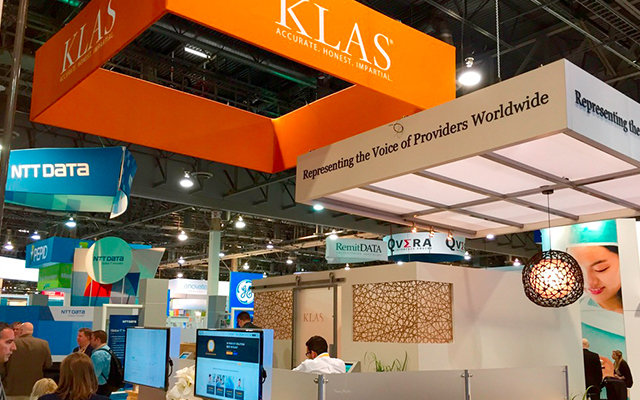 Klas goes first class at HIMSS16 with this chic booth. 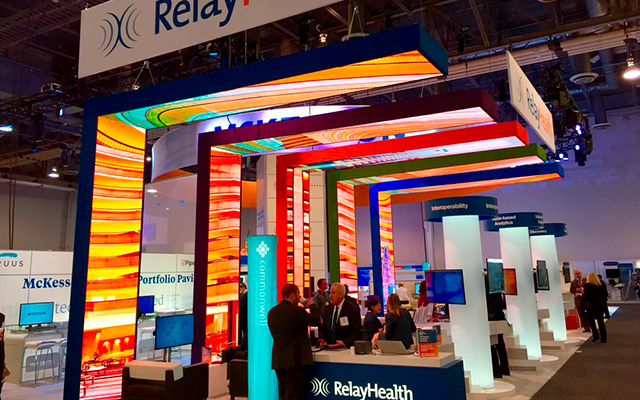 RelayHealth brought the lights to HIMSS16. Fitting in with the host city of Las Vegas. 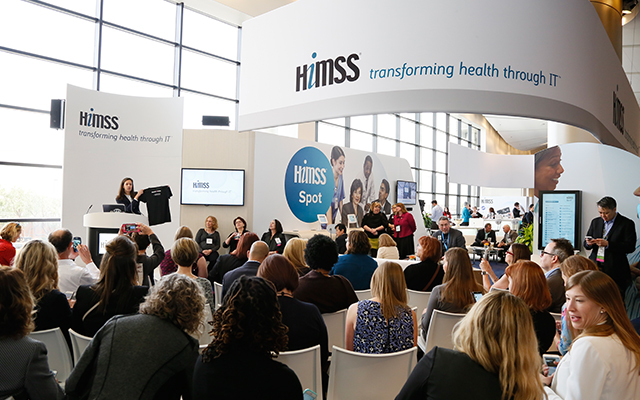 Views from the Top: Shattering the Glass Ceiling on Wednesday at HIMSS16. 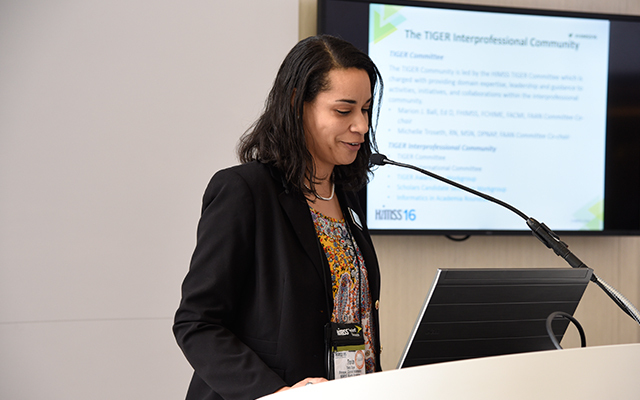 HIMSS clinical informatics manager Toria Shaw speaks about TIGER Informatics efforts and successes of the past year. 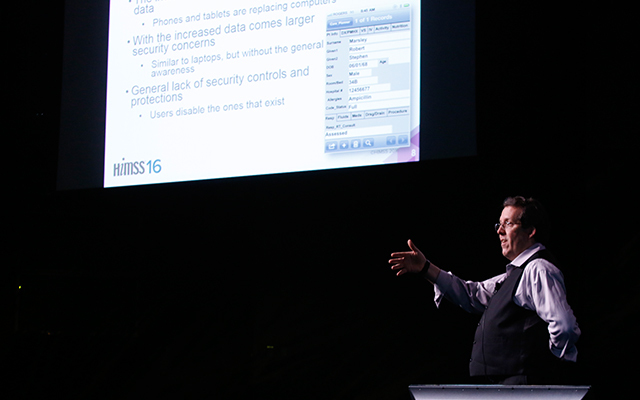 Kevin Johnson presents on Thursday about the moving target of secure mobile devices, a hot topic at HIMSS16. 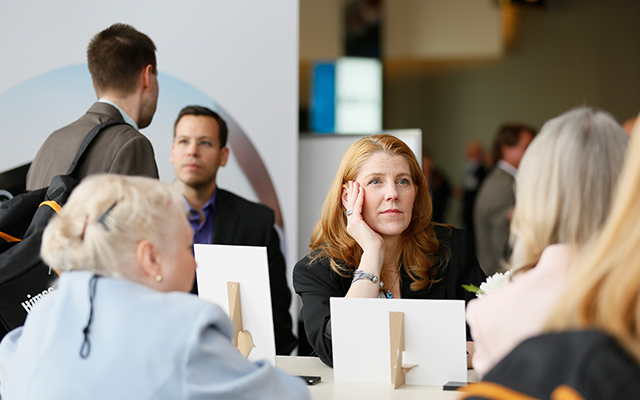 Energy may have flagged some on Thursday, but the ConCert booth was busy with discussions and meetings taking place. 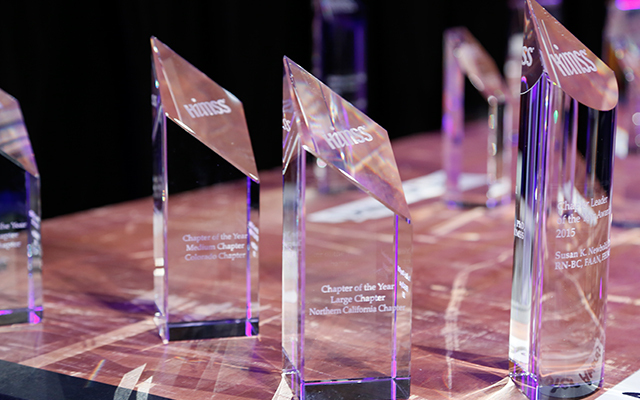 HIMSS Annual Conference featured the organization's annual awards gala toward the end of the show, highlighting individual and organizational efforts from throughout the past year. 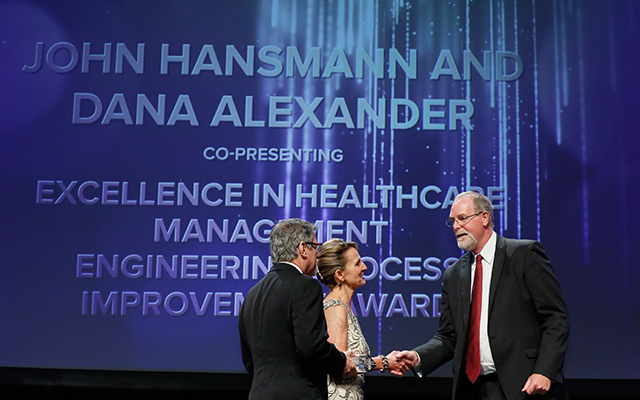 Awards being presented at HIMSS16. 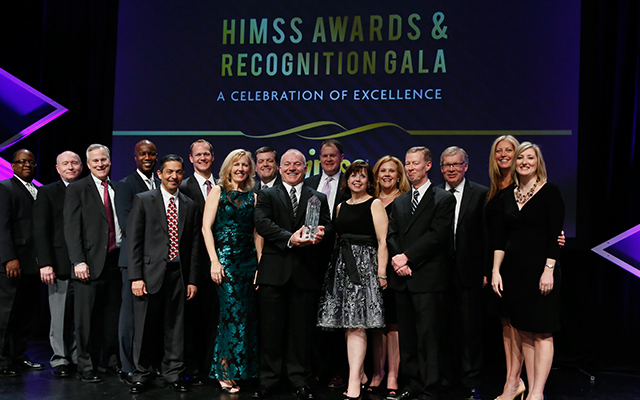 HIMSS Awards and Recognition winners for 2016. Dr. Jonah Berger at his Friday presentation about the role choice in today's healthcare market. 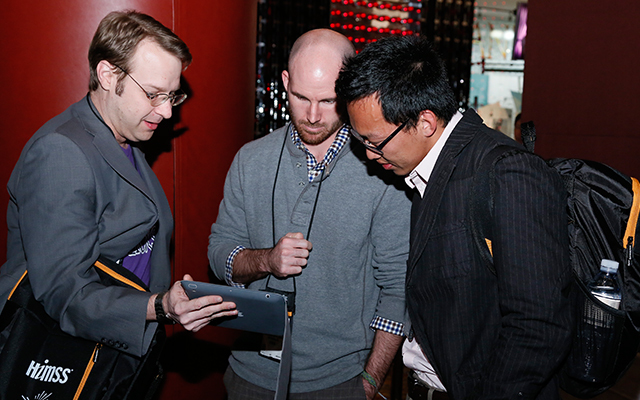 Millennials hunched over mobile device at a networking event held for the generation that will come to define modern healthcare. 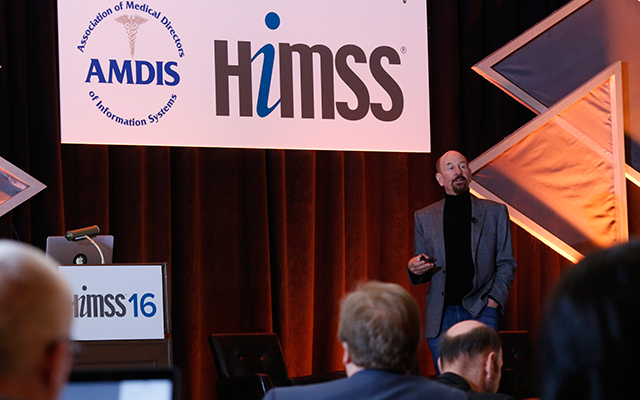 Jonah Berger looking for a show of hands at his Friday presentation at HIMSS16. A Tennessee Volunteers jersey, Peyton Manning's college team and number. 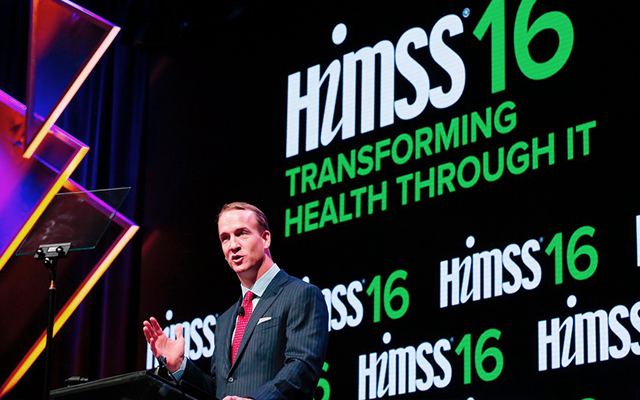 Denver Broncos quarterback Peyton Manning, fresh off of his Super Bowl win, closed out HIMSS16. 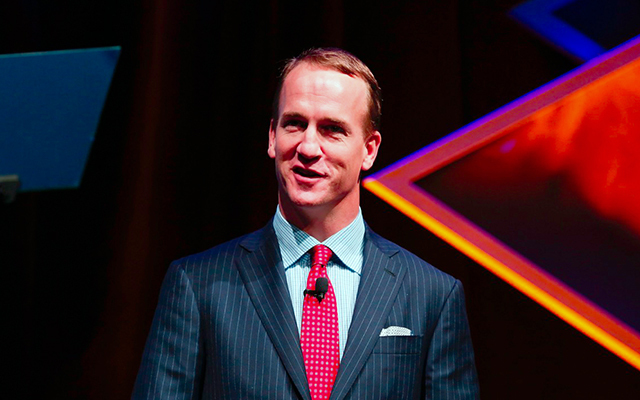 Peyton Manning holding court with Carolina Panthers team physician Robert Meyer, MD. 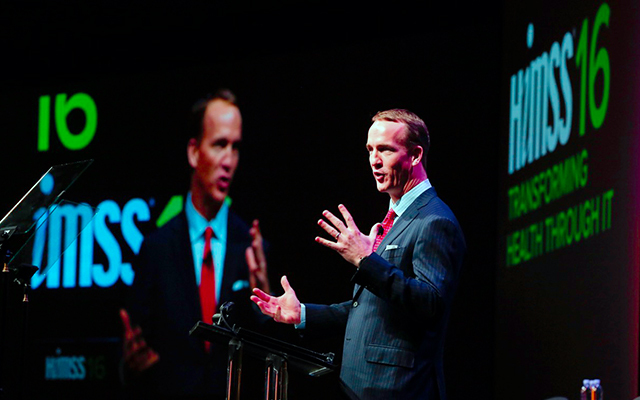 Peyton Manning likely explaining how leadership principles can drive healthcare forward. 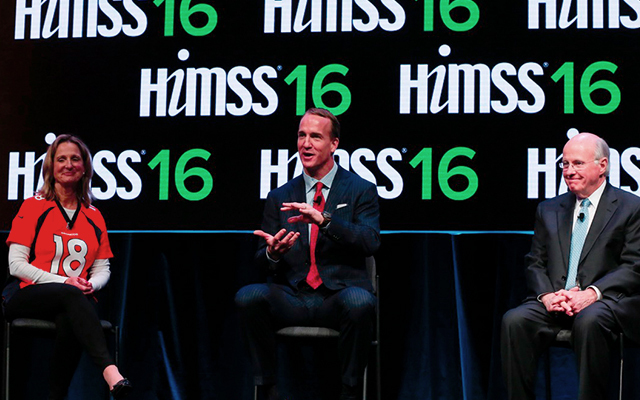 Peyton Manning wrapped up HIMSS16, ending a busy and highly educational week.